The 2014-15 basketball season has returned with the motto “unfinished business.” Georgia State has added some key pieces to the already talented group. Out of the many newcomers that the Panthers hope will show promise in the future, freshman Jeff Thomas is among them. The 6-foot-5, 185-pounder from Norwalk (Ohio) High School is a player that could be a major addition to the basketball team this year. At Norwalk High, the talented player averaged 18.8 points per game. His high school finished the season 29-1 and 11-1 in their conference. He was named one of the top 25 players in the Midwest. Thomas was ranked 351st in the entire country and is the number eight player in the state of Ohio. His star recruiting rating was a 2.3. Thomas was also a part of the Ohio Phenoms AAU team. Thomas was recruited by several teams before making his commitment to Georgia State. Schools like Fairleigh Dickinson, Kent State, Miami (Ohio) and Wright State were in the running. Thomas finally committed to Georgia State on Aug. 31, 2013. TS: What was it about Georgia State’s campus and the basketball team that made you commit? TS: What did Coach Hunter say to persuade you to get you to commit and make this program stand out over all other recruiting universities? TS: Describe the transition from Ohio high school basketball to college basketball. TS: Is there a difference in physicality? TS: Who’s your biggest mentor on the team or someone you maybe look up to? TS: What do you think your role will be this season? TS: Do you have any specific spot on the depth chart yet? TS: What is the biggest thing you have learned so far from being a part of the basketball team? TS: What assets do you bring to this team as far as strengths and weaknesses? JT: “My strength is shooting, I am a very good shooter. I think the biggest thing I need to work on is my defense. I need to get used [to] the defense we run. TS: Where do you see this team going this year? Jeff Thomas has the capabilities to turn heads this season and make a name for himself. He is a confident shooter and a team player. His biggest strength is having a deadly mid-range game. This can very useful for him this season and in the future. Most college players do not have a strong mid-range shooting asset. Most college basketball players are either good at slashing the lanes or shooting it from the arc. Thomas can shoot from three and pull up over defenders in the lane. 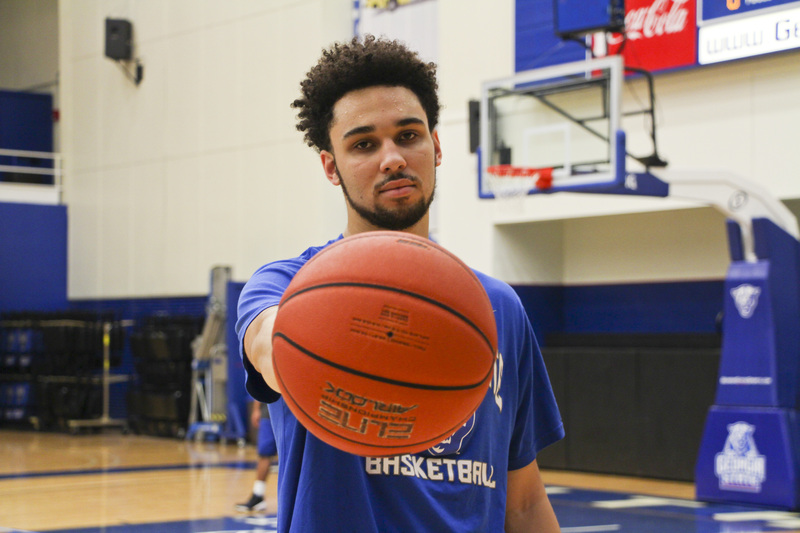 He may be able to gain confidence throughout the season knocking down mid-range jumpers. Like most college freshmen, communication is always one of the biggest transitions from high school to the college level. Thomas understands that he will have to improve this to gain the trust of teammates and coaches. 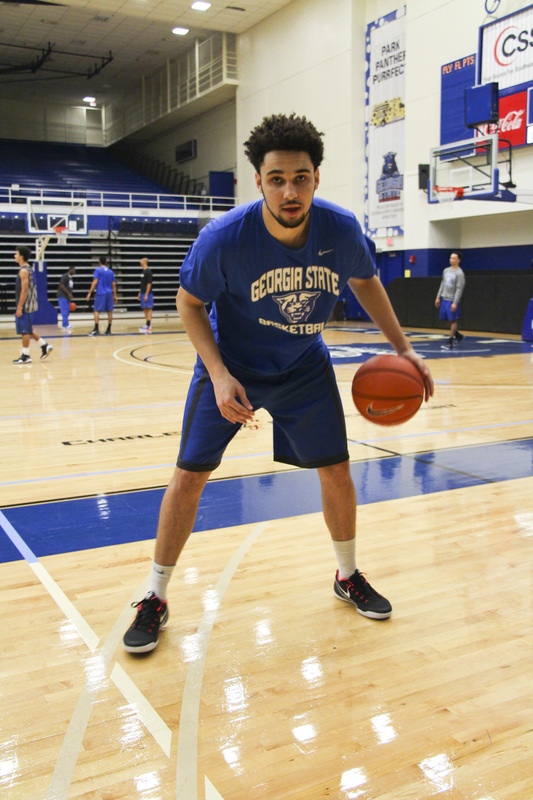 He has already received comparisons to R.J. Hunter for the future of the basketball team. The two guards have a similar style of play in their arsenals. Like Hunter, Thomas is a deadly shooting guard with a long body frame and has the ability to put up points they get hot. The Panthers next home game will be Nov. 10 hosting Shorter College. Tip-off will begin at 7 p.m.